Exabytes is offering RM 0.99 for first year .my/ .com.my/ .net.my/ .org.my domain registration. This special offer is to celebrate Mynic 25 years anniversary. And this offer is valid from 8-June-2012 until 22-June-2012. Wow, so cheap, I think I should go get a rmvalues.com.my. I’m just kidding, my site domain always rmvalues.com. But I did tried to process the registration until the payment process to check whether it’s RM 0.99. This entry was posted in Computer and tagged .com, Domain Name, Malaysia, sale, Special Offer on June 11, 2012 by RMvalues. On Sunday 23rd October, during the MotoGP race at the Shell Advance Malaysian Motorcycle Grand Prix at the Sepang International Circuit, San Carlo Honda Gresini’s Italian rider Marco Simoncelli suffered a serious accident wherein he sustained critical injuries. Italian rider Marco Simoncelli, 24, died after being involved in a horrific crash at the Malaysian MotoGP Sunday 4:56pm Malaysia time (GMT+8). Earlier, the race was cancelled in its second lap when the Honda rider fell and was hit by Colin Edwards and Valentino Rossi. 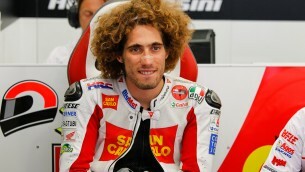 A statement on the MotoGP website said Simoncelli sustained critical injuries and was sent to the medical centre at the Sepang circuit for treatment. This entry was posted in Events and tagged died, Malaysia, Marco Simoncelli, MotoGP, Sepang on October 24, 2011 by RMvalues. Malaysian school age children are very lucky because they have only 203 school days and 87 days of school term holidays as below and also the public holiday mentioned on our yesterday post. You can also download the official school holiday from Minister of Education. This entry was posted in Events and tagged 2012, Holiday, Malaysia, Public Holiday, School Holiday on October 13, 2011 by RMvalues.